Many thanks to Misha Gericke and Beth Fred for hosting this blog hop all year long. I highly recommend it! My goals this year were at the top of the insanity list. I had hoped to publish several projects, and I did publish many of them. Some were short story e-books, and some were longer. For December, I had hoped to have a beautiful blog tour for my newest book Champion's Destiny. I got sick. Life happened. I changed the pre-order date, and then tried to change it again . . . hahaha. The pre-order system has had the last laugh. Please note: If you pre-ordered Champion's Destiny, I am so thankful for your faith in me! However, you will receive an updated version within the next two days - please consider letting your kindle or your kindle app re-load the book. I would greatly appreciate your grace in this matter. If you haven't ordered it yet, please wait a few more days. 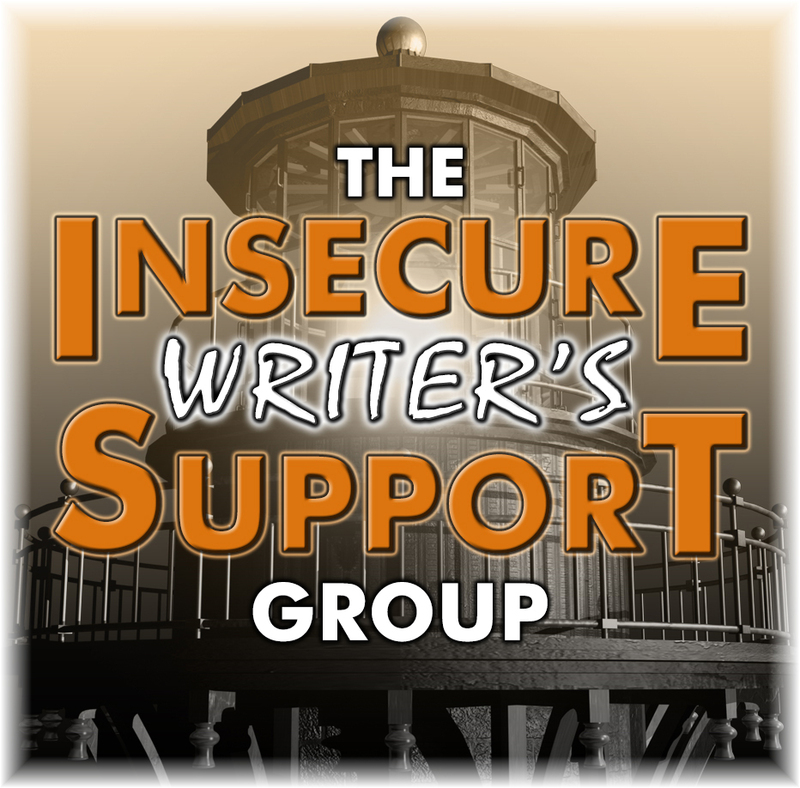 Official announcements will be on my IWSG post. Write 1 Sub 1 has been going awesome, except I keep forgetting to update my stuff at the Write 1 Sub 1 site. I had eight more stories published this month, and I'm at 41 newly published stories for 2015! 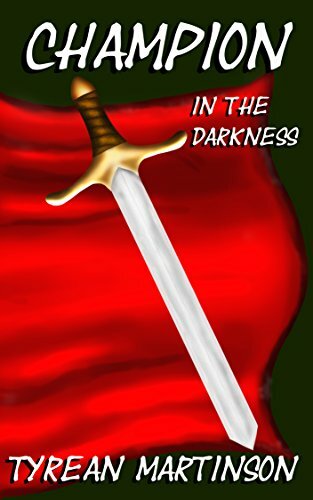 Twitter, facebook promo-groups and my first book is still free for e-book. Hmm. I was sick. I had vertigo for 8 days. I had a sick kid. Then, I had dental work done followed by muscle spasms in my jaw for a week, and then I had another sick kid, and some more vertigo. Somehow, with a lot of rest, we enjoyed a few days of Christmas. Plus, I walked about 13 miles this month, and did some much-needed stretching. Despite all the sickness, I helped a little with a retirement party for Coach Alan of the Gig Harbor Canoe and Kayak Team. I did a lot of praying around visits to the doctor and sleep. Despite all the issues with health and with Champion's Destiny, that's what I'm going to do, both this year and next! 1A (short term). 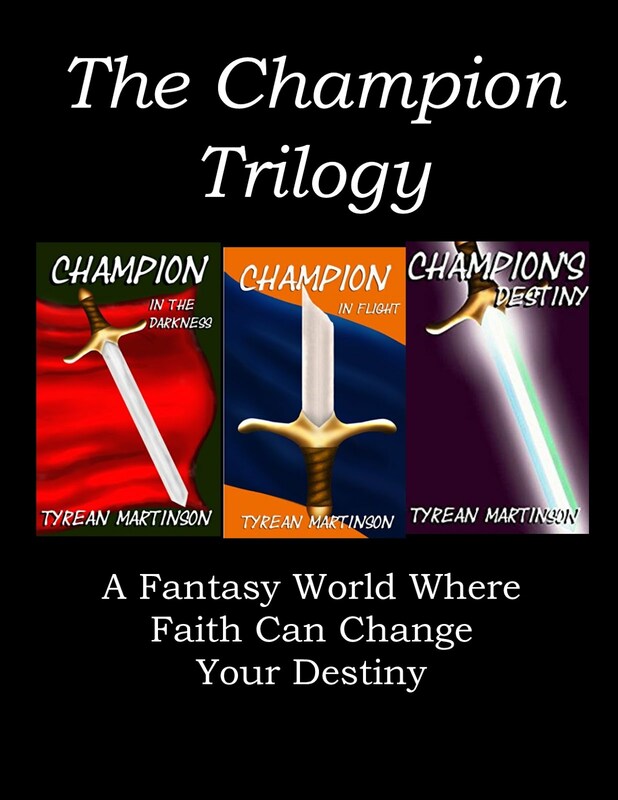 Finish the paperback version of Champion's Destiny and prep it for widespread e-book release. Just finish this one strong, even if it feels like I'm limping across the finish line with it. 1B (long term). Write Strong! Use what works for me. indie-publish some, and query some. Make goals, keep a health journal/diary, and stick to it. prayer, Bible study, and singing. 6. Gratitude and Grace = Strength. And, if you can't tell, I'm ready for 2015 to close so I can open the next chapter of life, planning to live 2016 fully each day. Please welcome Peter Churness - Pastor, Friend, Musician, Composer, Video Game Creator, and Writer! When I first heard that Peter Churness, Pastor and friend, had written a book, I said to myself, "is there anything this guy can't do?" And, when he asked if I could proofread it for him, I agreed. So, after the proofread, I asked him when he planned to release the book or if he planned to send it off to a publishing house. He said he wasn't sure when he would be ready for that. I encouraged him to go for it. 1. What inspired you to write The Breaking? There were really three things that helped to inspire me to want to write a book about Abraham’s early life. First was a suspicion that there was a political backstory of some kind. Though we know from Scripture that God called Abraham to leave the city of Ur, there is archeological evidence that the city of Ur was destroyed by invading Elamites about the time that Abram would have been migrating north. It’s quite possible Abram initially left as a refugee. The second thing that struck me was that I suspected that there was a love story here somewhere. The fact that Abram apparently stayed faithful to Sarah (pre-Hagar) all those years she was barren hints that there was real love between the two. And then finally, and most importantly, I’ve always been fascinated with the question of where Abraham’s faith came from. He grew up in a pagan culture worshipping the moon goddess Nanna. Where did his belief in a one “Most High God Creator of Heaven and Earth” come from? So not only is there a political story and a romantic story, there is also this story of Abraham’s spiritual journey. And that’s really what the book is about – it’s about Abraham’s conversion. 2. What inspired you to include references to the Epic of Gilgamesh in The Breaking? It was really the Epic of Gilgamesh that gave me the idea to take my ponderings about Abraham’s life and turn it into a novel form. There are some great motifs in the Epic of Gilgamesh – friendship, search for life’s meaning, etc. Though it’s very unlikely that the Epic of Gilgamesh had anything to do with the real Abraham, the setting is very close – it’s generally the same geographic area of Abraham’s youth and it refers to a time within a couple hundred years of when Abraham was alive, which is negligent when you consider we’re talking about someone who lived 4500 years ago. And then of course there is this wonderful reference in the Epic of Gilgamesh to this “sole survivor” of the Flood named Utnapishtim (the Babylonian Noah). And so that drew in my long-time fascination with the pre-flood world. A friend of mine and me, during our seminary days, developed an elaborate fantasy world based in the pre-flood world. This Abram series of books in some ways is simply an introduction or teaser into that deep backstory of the world before the Flood we’ve developed from which we have conceived of eventually developing further novels and also video games. 3. What was your favorite part of the writing journey for The Breaking? The creative conquering of the blank page? The tireless march through revisions? Or, the finishing touches of putting the book together? Interestingly, I actually enjoyed each of those aspects, but there probably is nothing that really matches the “conquering of the blank page” as you say. Though the book has structure and the plotline was planned out and outlined from the start, the actual emergence of each set of dialogue or description of environment or whatever, is certainly a much more dynamic and spontaneous thing. And so it was always an adventure to come back to the laptop and to wonder as I began to write the next chapter or section – okay… I wonder what happens next!? 4. Do you write with music playing in the background? Or, with silence? I love music. I love playing and writing music as well as listening. For that reason, I usually write in silence. Music tends to distract me. I’m tempted to break away from the creative writing experience and listen instead to the creative music experience of someone else. The exception to this is I sometimes will listen to classical music when I write, mainly to shut out the white noise. 5. Do you have a tip /quote/inspiration you would like to share with writers and/or readers? All of human history is a great epic story of how our planet entered into this Great Rebellion against its rightful ruler, and about how the Creator has ever since been working out a grand scheme to win the hearts of humanity back to Himself. There are many facets to that story, but when it comes to looking at the Biblical narrative as a whole, I think of everything before Abraham as being like the preface of God’s great novel of salvation history. With Abraham we turn the page and come to chapter one. The Breaking seeks to imaginatively fill in some gaps and unpack some of the hidden drama of that first part of God’s great epic novel. He grew up a Sumerian Prince with Dreams of Leading Armies and Conquering Kingdoms. So begins an epic tale of political intrigue, romance and the emotional soul searching of a man who would become one of the world’s most influential figures. Three great religions would come to claim him as their forefather in faith. But where did Abraham’s faith come from? Part historical fiction and part fantasy, The Breaking tells that story. Peter Churness lives in Gig Harbor, Washington where he is the pastor of One Hope Church (www.ohcgh.com). He’s been married to Sandy for nearly 20 years (all of them blissful) and has three fantastic kids, Hannah, Megan and Caleb. In addition to doing church stuff and writing he also has been involved in making spiritually themed video games (see www.TheRebelPlanet.com). He also sings and plays guitar and has composed and recorded an acoustic guitar version of Handel’s Messiah (you know, because Handel’s version wasn’t good enough). (He's kidding, btw.) Check that out at www.MyMessiah.org. Many thanks to Alex J. Cavanaugh and all his awesome co-hosts for keeping this encouraging blog fest going each month! As I stated in my goals update post last week, I have delayed my release of Champion's Destiny because it just isn't ready yet. In proofing, I found a minor plot issue that I thought I had resolved. That kind of sucked. Okay, well, it really sucked. It's true that it was resolved with a paragraph of writing, but it gave me pause. If that one slipped by me on other content edits, are there others? Plus, I need to add a bunch of description in a couple of chapters. I pictured it all so well in my head . . . on the page, it wasn't there. Agh. Anyway, I made a tough decision and it has had some cascading effects. I have to figure out how to delay my book blog tour. I'm hoping that bloggers who have been so kind to offer a spot at their blog will be kind enough to let me back out now. I'm feeling bad about all of it. At the same time, I know it was the right decision. I want Champion's Destiny to shine. This whole process had made me realize that I can't decide on release dates until my book is so ready that it feels like it can be wrapped up in Christmas paper and mailed to a long lost relative. Unfortunately, I set it for pre-order for Kindle, and I can only delay it one month. It has to be Christmas wrap ready within weeks. I know I can do it, but at the same time, I'm having doubts. So, I'm going to be in the final editing cave . . .
Have you ever had to delay a project? Is there any way to make it . . . feel less sucky? The Reader, Book 3 in The Rifters series by M. Pax, is out! 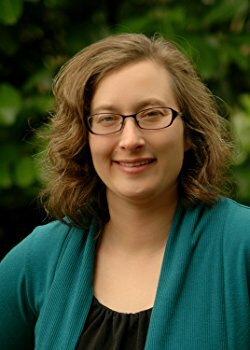 M. Pax is author of the space adventure series The Backworlds, plus other novels and short stories. Fantasy, science fiction, and the weird beckons to her, and she blames Oregon, a source of endless inspiration. She docents at Pine Mountain Observatory in the summers as a star guide and has a cat with a crush on Mr. Spock. Learn more at mpaxauthor.com.